Join hundreds of your peers to celebrate entrepreneurship in New Hampshire at this premiere event! Startup Shindig has it all: networking, thirteen startup demos and a chance to talk to some great NH startups. 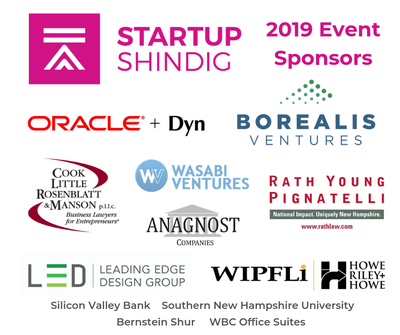 Startup Shindig is a demo day for the thirteen NH startup companies participating in our Accelerate NH program and will feature short presentations by each. This event is for anyone who is currently involved with or wants to be a part of the Startup Ecosystem in New Hampshire. Can’t wait to see you there! This year we will be celebrating five years of Accelerate NH at Shindig.